The external knob on the Weiser Beverly GAC331 Privacy Lock has an emergency release, combining safety and privacy. 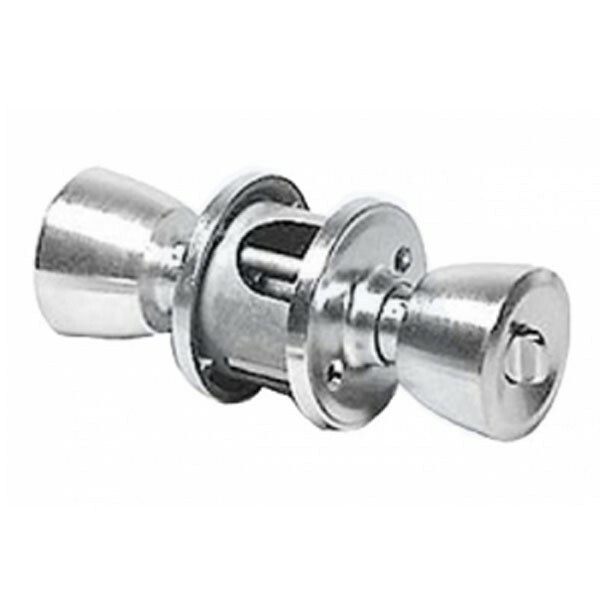 Reversible latchbolt is withdrawn by either knob, except when both knobs are locked by turn button inside. Both knobs remain locked until turn button is released or outside knob is freed by operating the emergency release externally. Supplied with plain latch. Adjustable backset, 60mm or 70mm. Suitable for door thickness 35mm - 45mm.